The automotive industry has had its fair share of ups and downs in the latter half of the century. Shifting consumer priorities, environmental considerations, fluctuating markets and other transformations have spawned an existential awakening in the industry. In the midst of all this, the ongoing (and inevitable) shift towards digital platforms and devices created a whole new set of challenges and opportunities for automotive marketers. The car-buying process is entirely different today from what it was ten or twenty years ago. Mobile devices, new content platforms, and advances in automotive technology have changed the way people look for and buy cars. Rather than visit a dealership like they used to, people are now turning to the internet for advice when buying a car. Indeed thanks to digital monitoring and reporting tools, we are only now understanding precisely what the automotive buyer’s journey looks like in order to take advantage of it. One of the presenters at the Google Marketing Next presentation today, Bhanu Narasimhan the Director of Audience Products, explained how nowadays the path to buy a car doesn’t start and end with a person searching “cars for sale.” Rather potential car buyers will spend time online researching a few makes and models, reading vehicle reviews, as well as watching some test-drives on YouTube before ever stepping foot in a dealership. These types of searches signal that this person is in the market for a car and about to purchase. Imagine how powerful this information is for automotive manufacturers and the marketers that serve them. If automotive marketers can understand every step of the path to car purchase, they are uniquely positioned to market to the potential car buyer throughout the journey. The use of an increasing number of digital marketing tools and techniques are available to reach more potential customers than ever before. The new plethora of data supplied by constantly connected consumers, combined with the extensive reach (hello in-market audiences!) and improved targeting of social media, paid search, and other channels puts automotive marketers in the driver’s seat. Welcome to the new era of automotive marketing. The power of video is a source that automotive marketers have to leverage. According to Google, 1 in 3 adults in the US watch some variety of automotive video on YouTube every month, and those videos have a huge impact on their decision to buy. YouTube is a go-to resource for people researching their next car, and 69% of those who do are more influenced by what they see on the platform than in traditional media. Each step of the customer buying process, like watching automotive videos or searching for images are vital “micro-moments” that marketers should take advantage of every step of the way. These moments push a customer to eventually choose a particular vehicle and then visit a dealership to check it out in person – the ultimate goal of the automotive marketer. Imagine what Joe Girard, America’s greatest car salesmen, could have done with this data! When first considering a new car, the majority of consumers don’t know where to start. They will usually enter a broad search query on their mobile device, like “best car” or “best truck.” The brands and models that pop up in this initial search will have a lasting influence on what a customer decides to do at the end of the car buying journey. These days, no one has time to visit a car dealership, talk to a salesperson, then go for a test drive only to discover that the car isn’t right for them. That’s why consumers will conduct in depth research online first to find out if the model they have their eye on is the perfect fit. Optimizing your mobile site so users can easily find the information they’re looking for on the go will ensure success at this micro-moment. 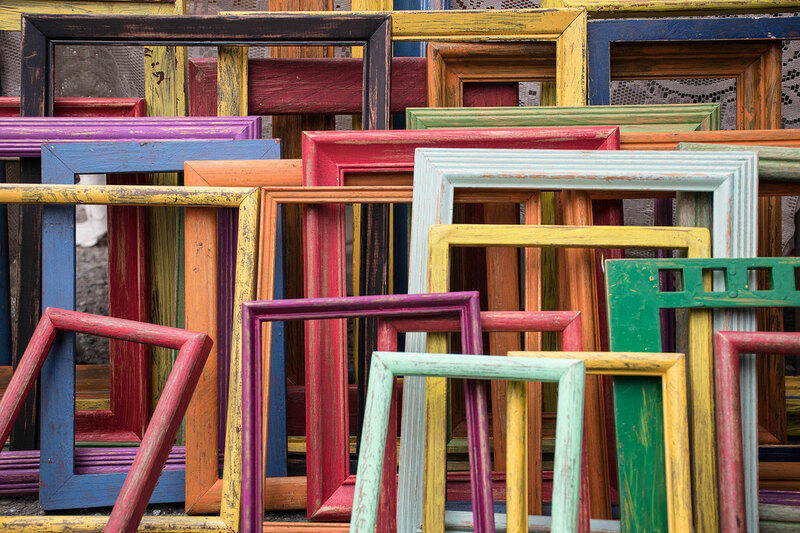 Pricing is an important consideration in most customer’s decision making process. Consumers will also search for reviews and deals on a certain model that catches their eye. If your brand isn’t appearing on these searches, a user may get it into their heads that they can’t afford your car, even if that isn’t the case. Consumers don’t have the time to bounce around from dealership to dealership to get the information they’re looking for, with most only visiting two dealerships on average. That’s why it’s incredibly important for dealerships to actually appear on mobile SERPs when a user is ready to visit and make a purchase. Even when a consumer is at a dealership, they’re still researching on their mobile device, including checking out what the competitor has to offer. Savvy consumers want to feel secure that they’re getting the best deal possible. The needs of the luxury car market differ greatly from the needs of the standard automotive market. Luxury car buyers think and act differently, which means automotive marketers need to take a different approach when marketing to these customers. 1. Which Car is Best? From brands to specific types of cars, a luxury car purchaser wants to know which is the best of the best. They want to ride in style and comfort. 2. Is It Right For Me? Not as concerned with price as a regular customer, luxury searchers tend to focus on general points of information about luxury cars. Examples include “why buy a luxury car”” and “what makes a luxury car?”. They are looking for a reason to buy – they want to be convinced. 3. Where Should I Buy It? Since luxury car buyers tend to have a larger income, they want to know where they can get their new set of wheels quickly and efficiently. If you’re a dealership that sells luxury vehicles, you need to keep this in mind. Time is money! It’s also worth noting that a large majority of luxury car customers live in large cities like NYC or LA. This goes to show that for luxury car customers, it isn’t so much the need for a car (we’re looking at you, LA traffic) but rather the prestige of owning a luxury vehicle. Marketing opportunities in the automotive industry don’t end when a consumer buys a car. Nowadays, with WiFi-enabled cars, smartphones, and navigation services, drivers are always connected to a digital network. It’s estimated that by 2020, 90% of cars will be Internet enabled. This constant connectivity is an opportunity for marketers to reach consumers in a relatively new way: post-purchase, “in-car” marketing. In-car marketing can exist in many different forms. For example, after a certain amount of distance is driven, automotive service companies or manufacturers can use a car’s navigation system to let a driver know when they should go in for a tune-up. Or, when a driver is cruising around a new city, they can be given suggestions of nearby restaurants and gas stations. The variety of collaborative advertising partnerships that can be made through in-car marketing are endless – partnerships that were never before possible to automotive marketers. As with all forms of digital advertising, this type of content must be useful and informative. Most importantly, drivers must not get distracted by the ads, which could present a serious safety hazard if not handled properly. 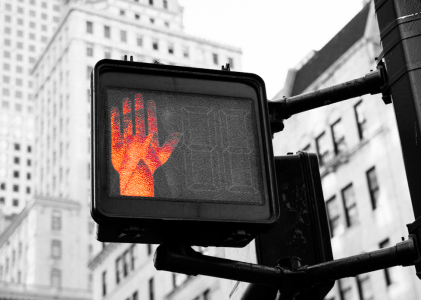 When it comes to in-car marketing, relevancy and moderation is key. The digital transformation of the automotive industry is well underway. The industry is becoming more connected everyday, and the connected consumer no longer has time for lengthy discussions with a salesperson, or hopping around dealerships looking for the right car. Marketers must speak to their customers at every stage of the customer journey, including in the decision making moments that happen on the go on their smart phones and even post-purchase. In order to thrive in this new environment, automotive marketers must embrace change and adjust their strategies to ensure that they are reaching the customer in these key micro-moments! Automotive marketers need to understand that there is rich data now available to them that they must leverage in order to stay competitive. They must also learn to use the technology and tools available, especially on mobile, to optimize their strategies. Aside from being in the sweetest spot they’ve ever been in, in terms of data and technology, automotive marketers should expect more intelligent developments within the advancements already made. In the future we expect automated-dynamic search and display campaigns powered by machine learning to become the norm, even for the smallest dealership. 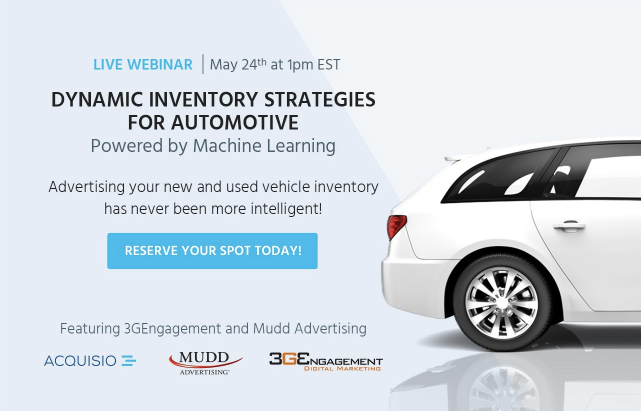 If you’re ready to optimize your strategy, check out our automotive focused webinar happening on May 24th. Our industry experts will walk you through how automotive marketing has changed over the last few years, including how machine learning is powering dynamic automotive campaigns for optimized performance and better results. Webinar attendees will have the exclusive opportunity to test drive a demo tailored to the automotive industry, so you won’t want to miss it! Cassy is Acquisio's Content Specialist and resident Community Manager. With degrees in both Communication Studies and Graphic Design, coupled with agency and freelance design and copywriting experience, she has an ideal trifecta of skills to back up the entire marketing team. A passionate foodie, she can tell you all the best dishes in the city. When she's not writing, designing, or engaging with Acquisio's community, she spends time with her dog Derp, a local Instagram star.